There are three ways of producing rosé wine: by pressing, using the saignée (French for ‘bleeding’) method and blending white and red wines together. Red wines gain their colour through contact with the red grape skins for varying periods of time in a vat after the grapes have been crushed and rosé wines gain their colour in much the same way except only for a short period of time, usually 1-3 days. When rosé is produced like this it is called pressing. Saignée is used in producing the majority of rosé from Provence. This process entails removing (or "bleeding") some of the pink juices from a red wine vat in the very early stages of its fermentation. This juice is then fermented separately. Blending is only used in the Champagne region but is the way in which almost all rosé Champagnes are made. It entails adding some red wine from red Champagne grapes to white wine before it undergoes a secondary fermentation and develops its sparkling nature. Rosé wines can be found all over the world but historically the best are generally considered to come from the region of Provence in France. 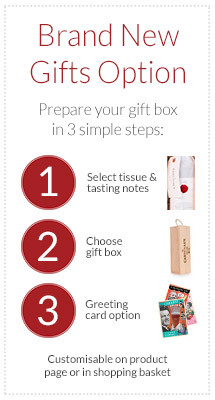 Rosé tends to fall into the category of ‘fresh and fruity’ or ‘round and full-bodied’. Fresh and fruity rosés go well with summer cooking, salads, any vegetable dishes, pastas and even pizza. Round, full-bodied rosés go well with full-flavoured dishes involving olive oil but also vegetable based recipes and a lot of fish dishes. Rosé wines should generally be served at 8-10°C. 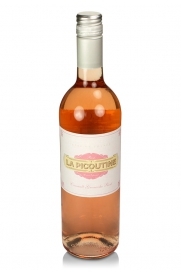 La Croix produces wines of great value and consistency and its La Picoutine rosé makes for a great refreshing summer drink. 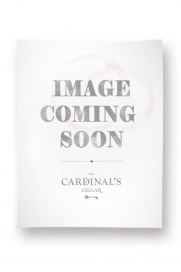 It is a lively blend of Cinsault and Grenache grapes which come together nicely to forge a nose of summer berries with a zesty strawberry palate. Lovely rosé wine with depth and class from Languedoc-Roussillon. Sometimes referred to as the “Petrus of Bandol”, Château de Pibarnon is located to the north of Bandol on the Télégraphe hill. Pibarnon’s journey to greatness owes much to the passion of Comte de Saint Victor who bought the property when he fell in love with its wine when on holiday in the area and subsequently restored the 13th century bastide and the vineyards which were in some disarray. La Côte Blanche is a truly delicious and earthy Pinot Noir rosé from Sancerre. 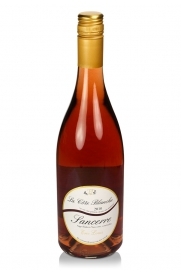 Domaine Eric Louis' La Cote Blanche is a superb pink wine with a refreshing character rooted in its dryness.